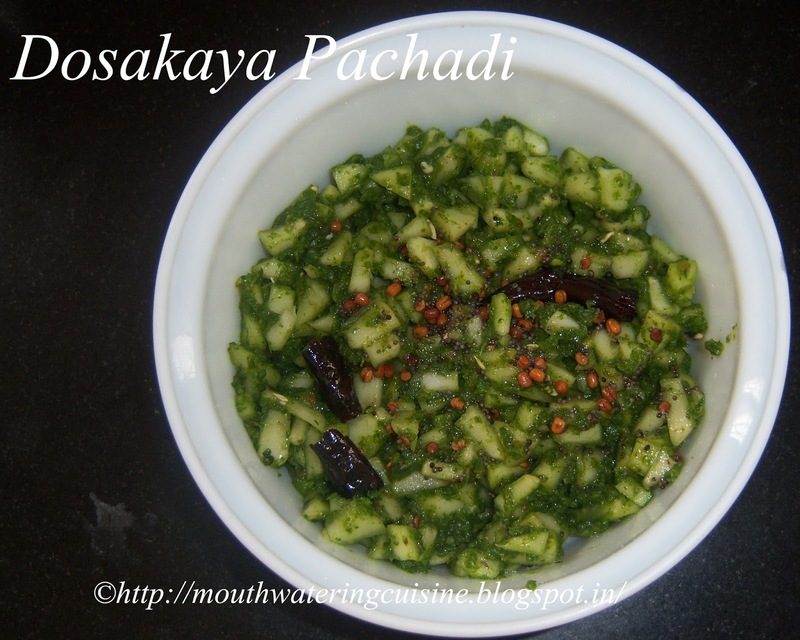 Dosakaya Pachi Pachadi is a very simple chutney. Serve it with rice. It is typical Andhra dish, we get yellow cucumber, which are sour in taste. Some times they are a bit bitter also, they are of no use. We cook yellow cucumber, but raw one is also tasty. To make chutney we use raw one only. 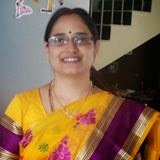 We make dal, pulusu, different varieties of chutneys with them. This is another variety. Peel and cut yellow cucumber into small pieces. Remove flesh or seeds present in the center of yellow cucumber. Check the taste, if it is bitter throw it and use another one for pachadi. In a blender jar add green chillies, salt and tamarind. Chop and wash coriander leaves. Keep them aside. First blend green chillies into coarse paste. 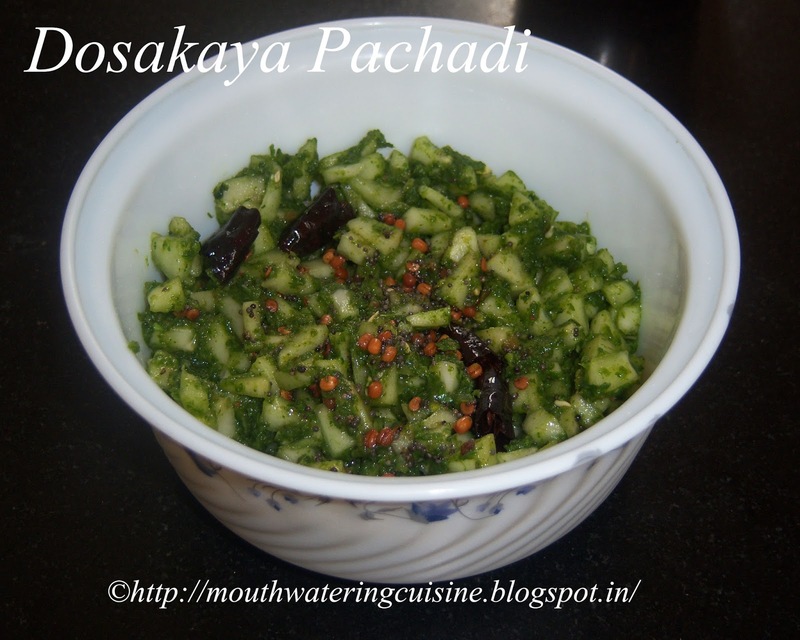 Add coriander leaves to it and again blend it into a fine paste. Add this mixture to the chopped yellow cucumber pieces. Mix it well. In a kadai, heat oil add mustard seeds, fenugreek seeds, black gram and asafoetida. Allow them to splutter and make red chilli into two or three pieces, add this to the above chutney. Serve dosakaya pachi pachadi with hot rice.